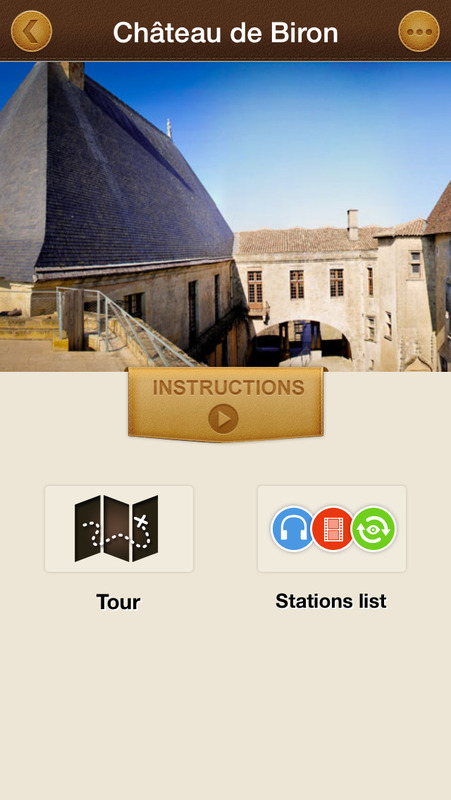 Semitour is the official audio guide application for the Semitour Périgord sites: the Château de Biron, the Château de Bourdeilles, and the Cloître de Cadouin. 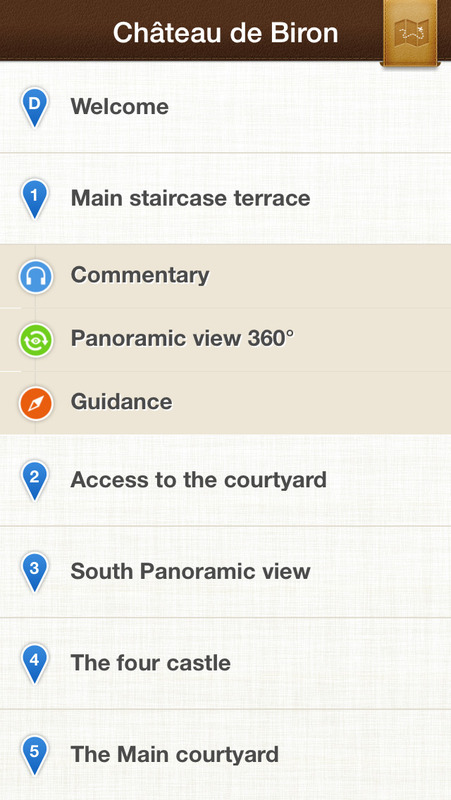 All the circuits are available in French, English, German, Spanish, and Dutch. The Cadouin circuit is available in sign language. 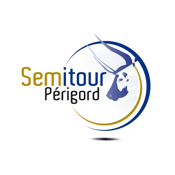 The Bourdeilles circuit is available in Occitan. 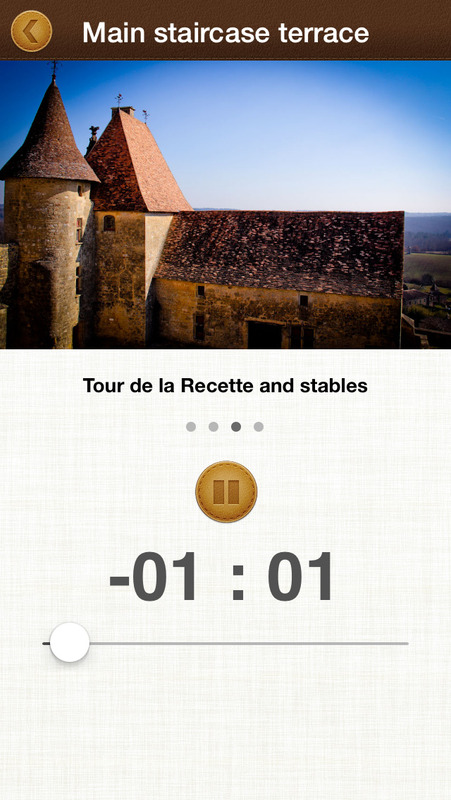 - clickable panoramic photos that act as an interactive viewpoint indicator, enabling you to see the elements that are no longer present in the château.